When Will There Be More Homes For Sale? Shadow inventory is the discussion being had in all real estate offices and mortgage data companies. If you’ve been trying to buy a house or sell one as a traditional sale you know the market conditions. A house goes on the market and is pending in 3 days. Many times for more than the listed price. We know this to be a truth but how long will these conditions last? Are there enough shadow properties to increase inventory beyond the point of the current consumption? Here is what the market experts think. Foreclosure starts were up 4.6% over the past month. Inventory was down 10% from September 2012. If LPS is correct then there will be more inventory in the future but I doubt enough to swing back to a buyer’s market. Seriously delinquent properties (foreclosure not yet started) are at 1.04 million or 3.3 months of inventory. 903,000 were in some stage of foreclosure accounting for 2.8 months of inventory. REO (already foreclosed on but not for sale) totaled 354,000 which is 1.1 months of inventory. Now Nevada may have a larger percentage because we are quasi-judicial due to AB 284 but states like Florida and New York are far worse off than us. We’ll make the math easy and stick with the CoreLogic numbers.? Total months of inventory for all homes in the Core Logic study comes out to 7.7 months. Are current market is holding 4.1 months of inventory. Put these together and there is less than 12 months of potential inventory. What we can’t see is how many of these shadow inventory homes are being picked off as loan mods or short sales. Current market supply of inventory gives us a little idea but homes can go on the market so quickly that a month old report may be useless. I used to be a diehard for the market coming back to over correct the current appreciation we’re seeing and going into a deep slump. After reading months of data I’m losing that feeling. I don’t think we can sustain the current appreciation for the long run but the demand is there to prevent any deep depreciation. 12 months of inventory would be a strong buyer’s market if they all were put up for sale at once. But the banks are smarter than they were in 2009 and 2010. 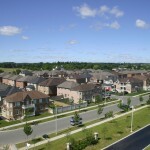 A slow drip of these homes over 12-18 months and there will be little damage to market prices. Posted in Market Update, Short Sales/Foreclosure and tagged buy reno pre-foreclosure homes, reno foreclosure sales, reno listing agent, reno nv shadow inventory, reno real estate market inventory.